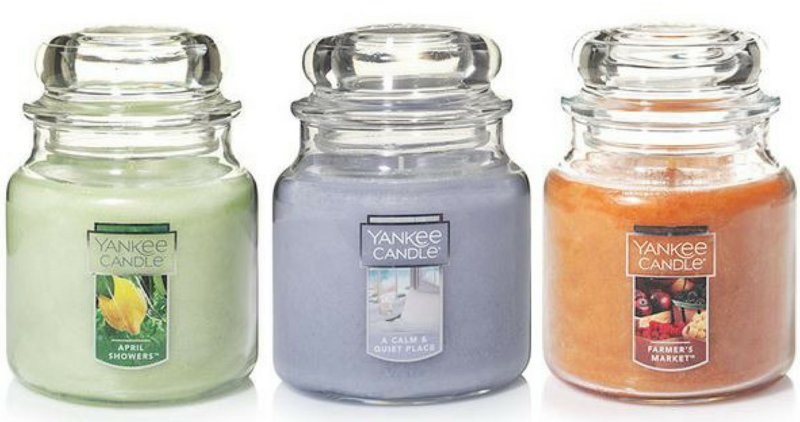 Today only, you can print out Yankee Candle coupon and use it to get 2 FREE medium classic jar candles when you buy one! This offer is also available online (no code needed, just add 3 candles to cart and discount automatically applies). For in-store purchases print or show the coupon to the cashier. Note: limit of 4 free candles. Shipping is a flat rate $5.99 for orders less than $100 or free for orders over that. This offer is for today only, 11/30.